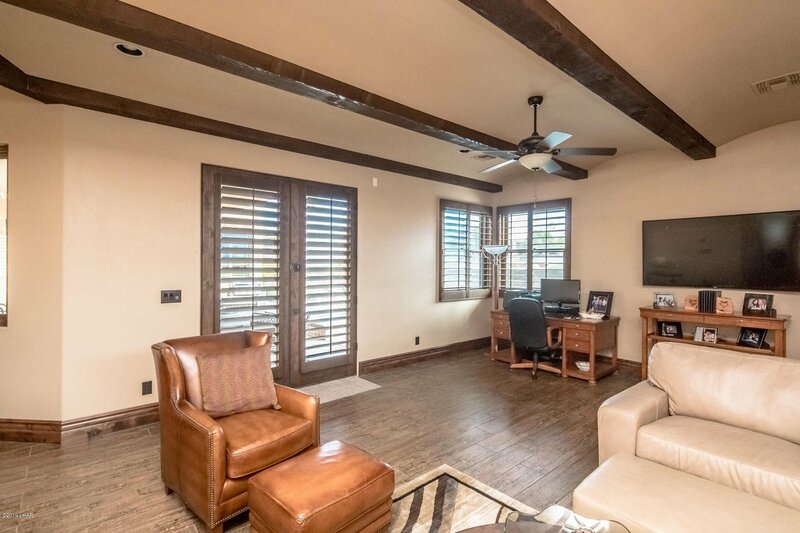 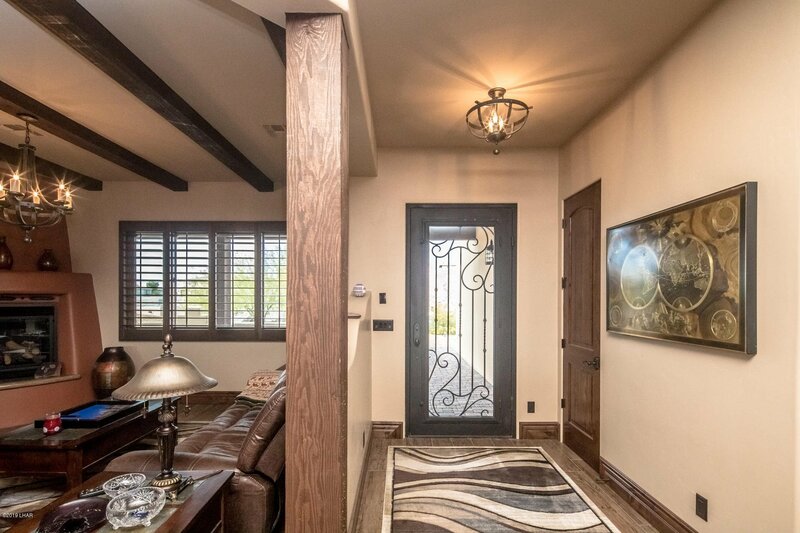 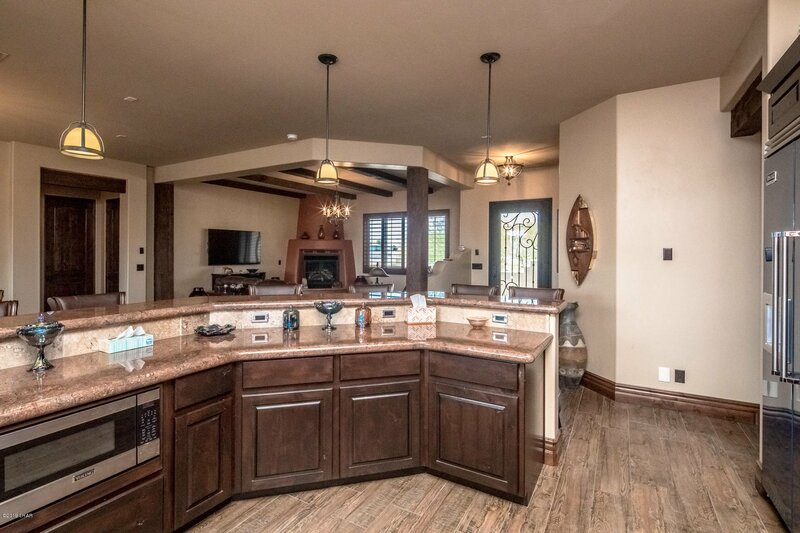 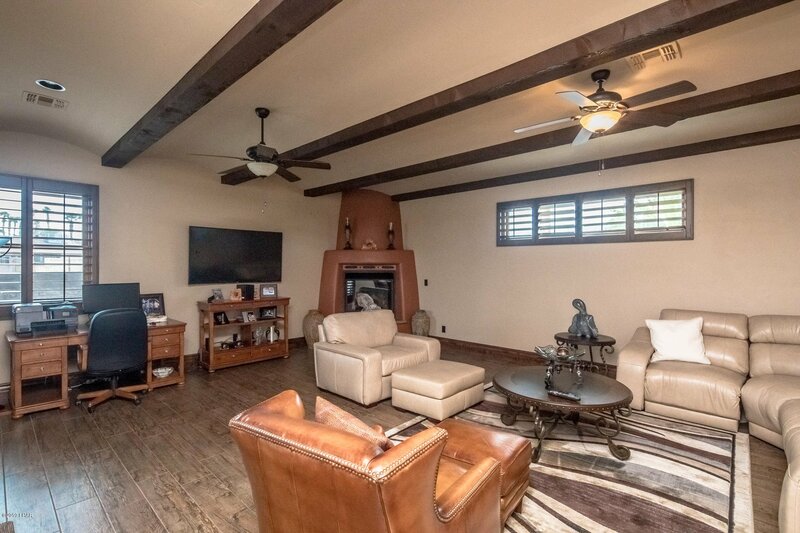 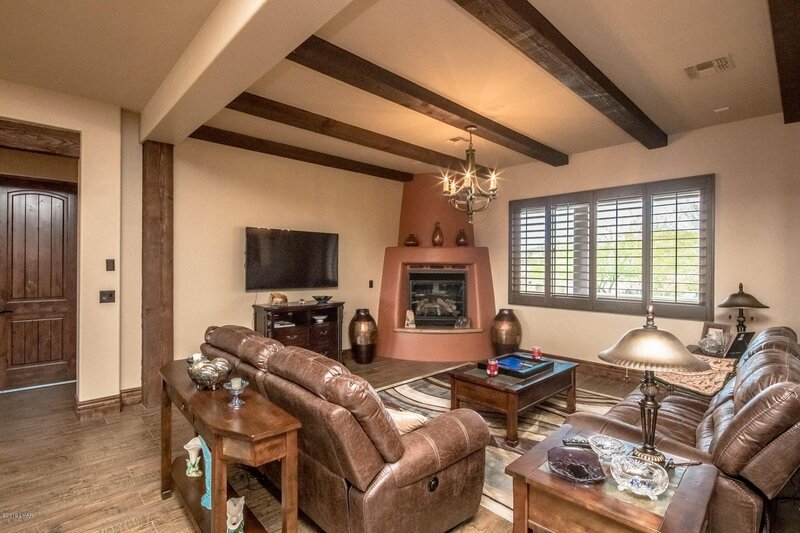 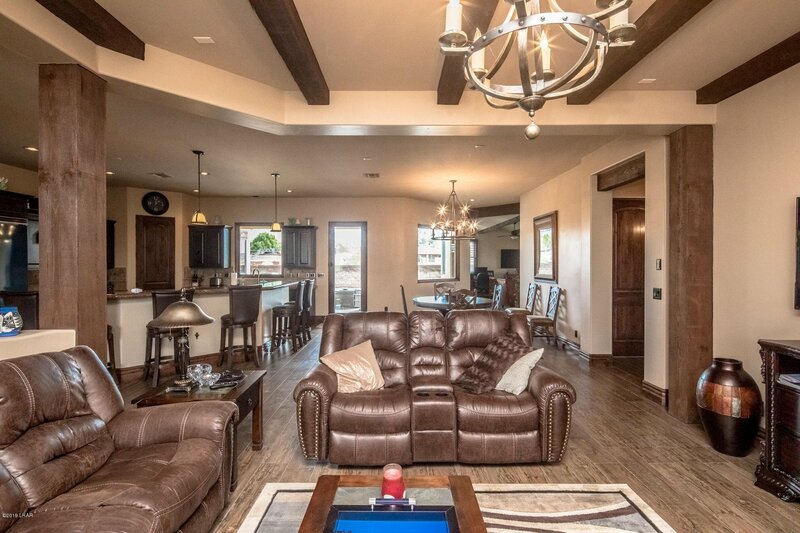 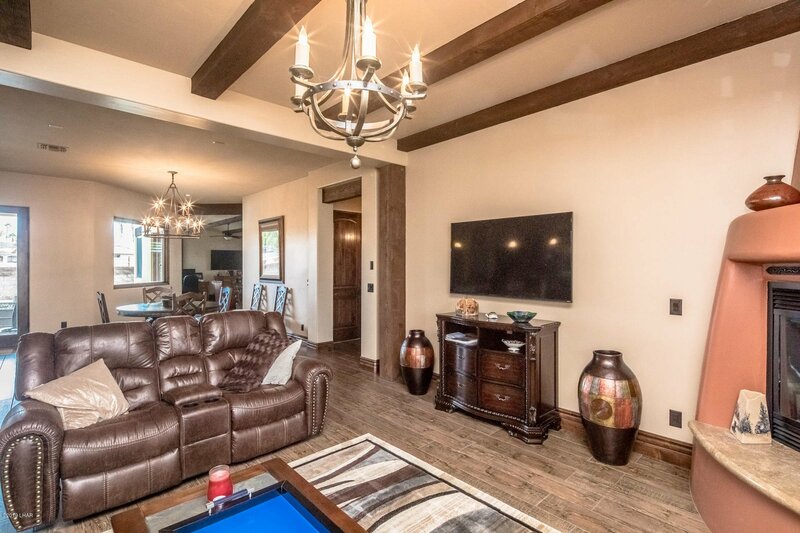 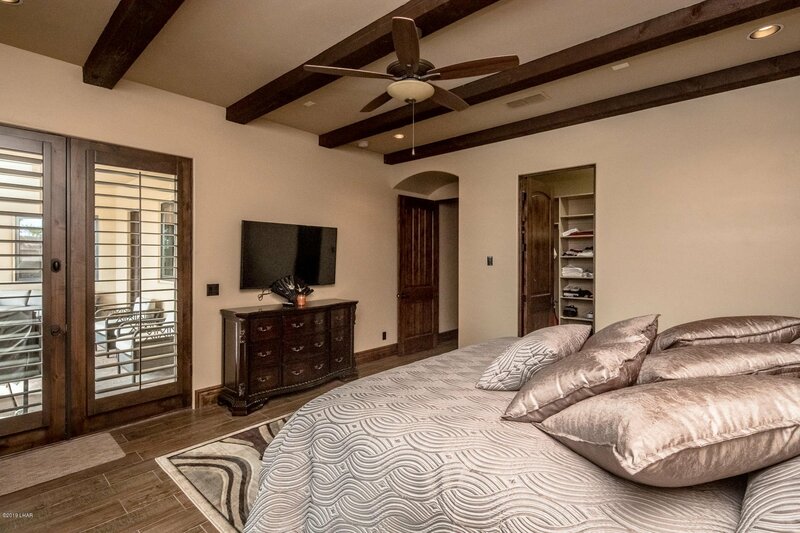 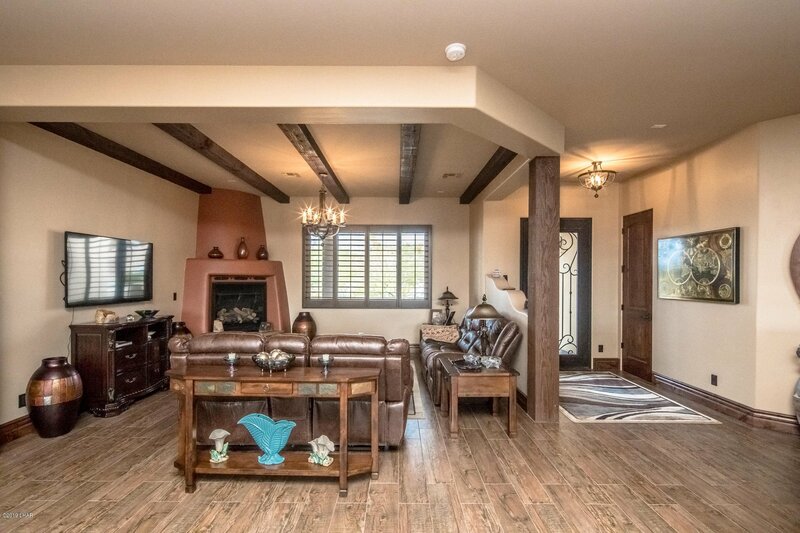 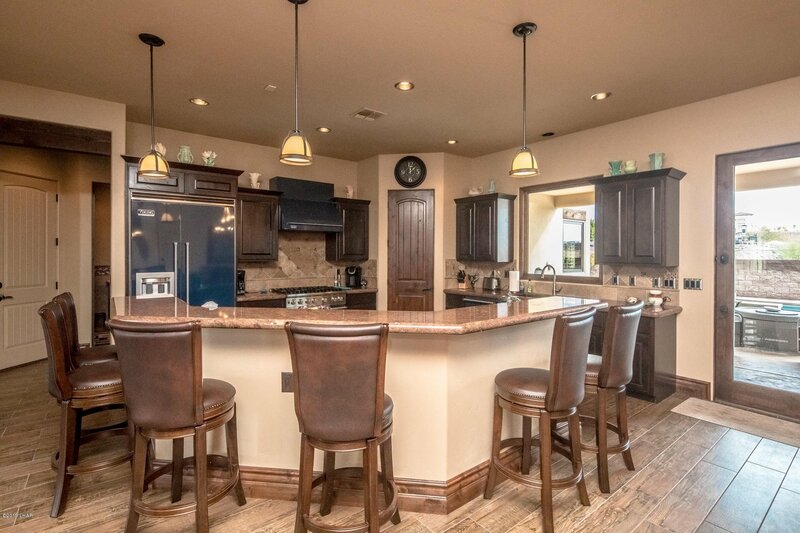 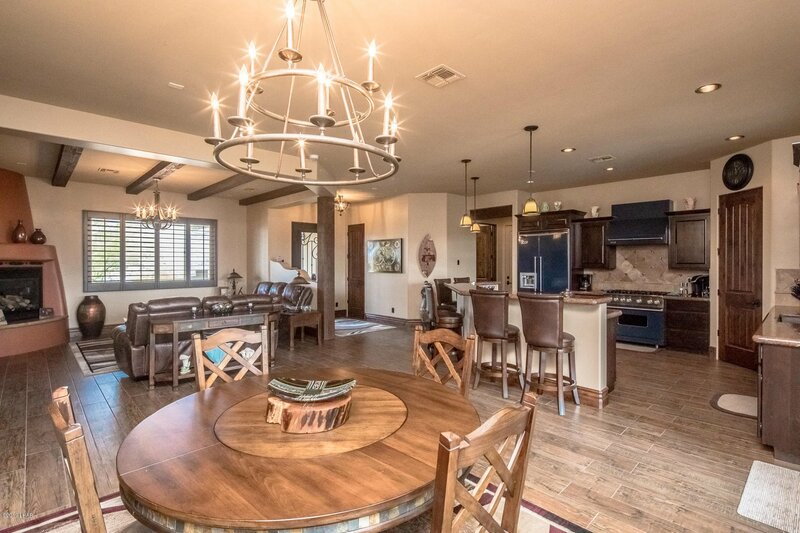 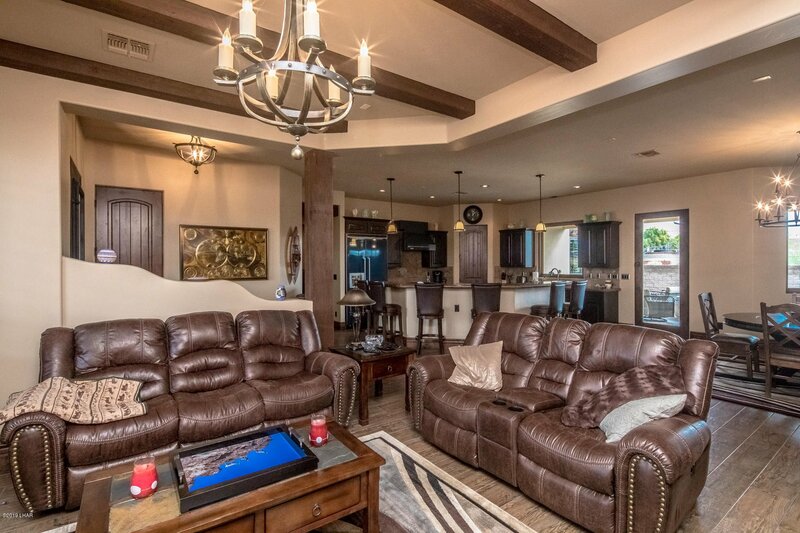 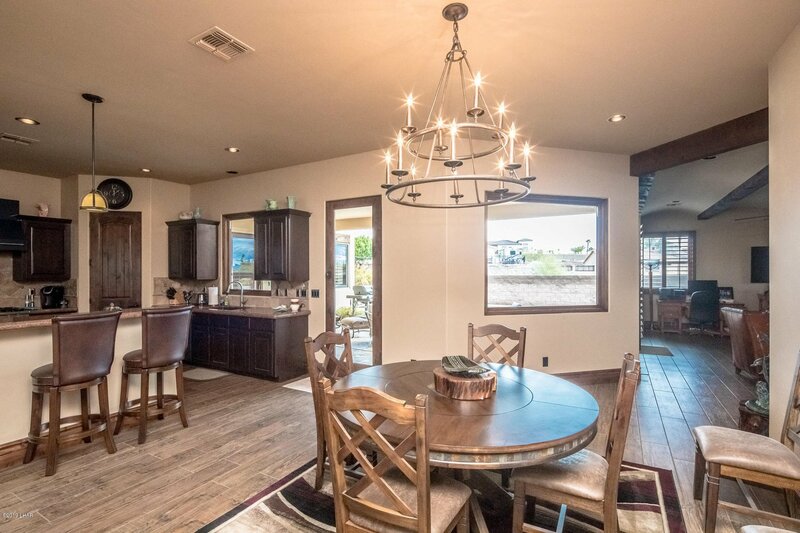 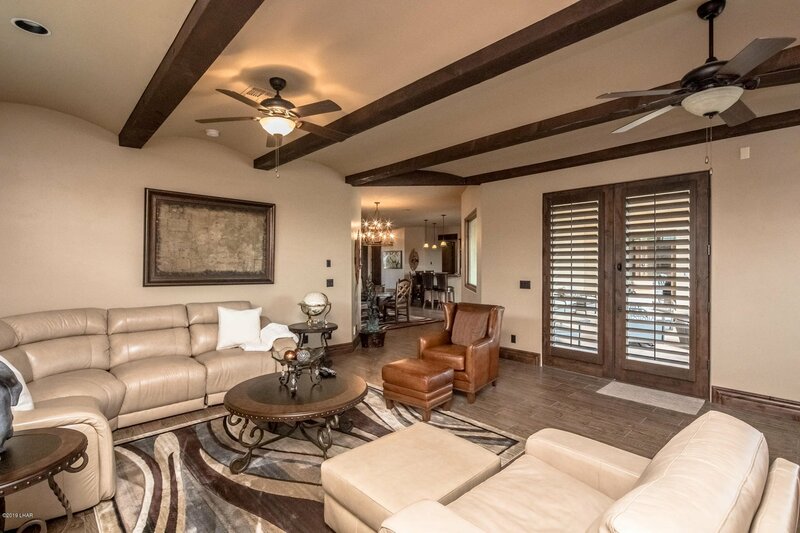 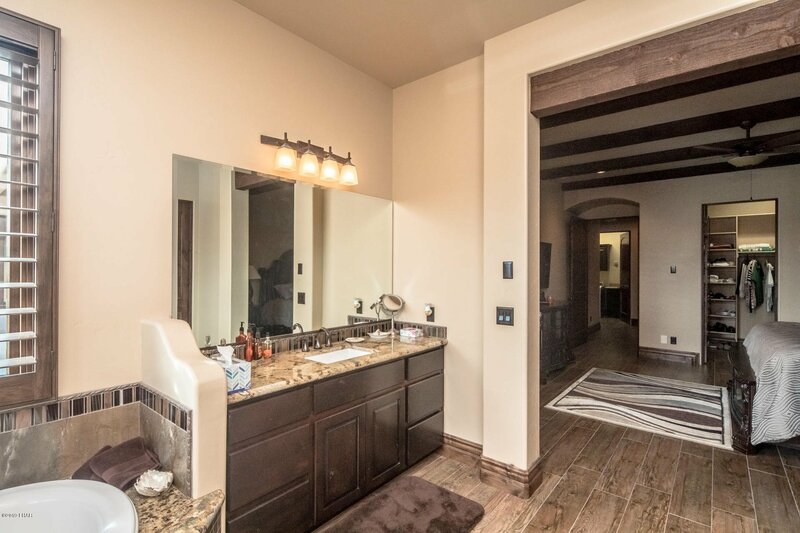 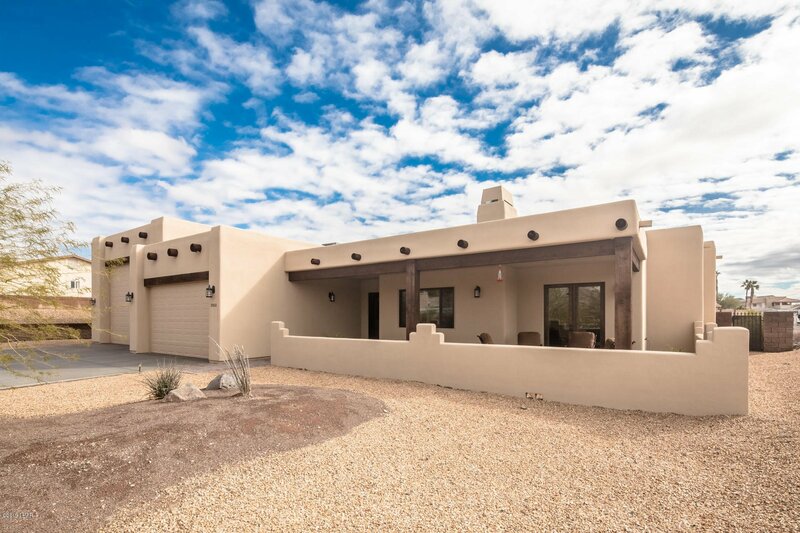 Gorgeous Janecek Santa Fe home featuring Viking appliances in the gourmet kitchen, beautiful wood beams and shutters throughout, an additional family room and 2 fireplaces! 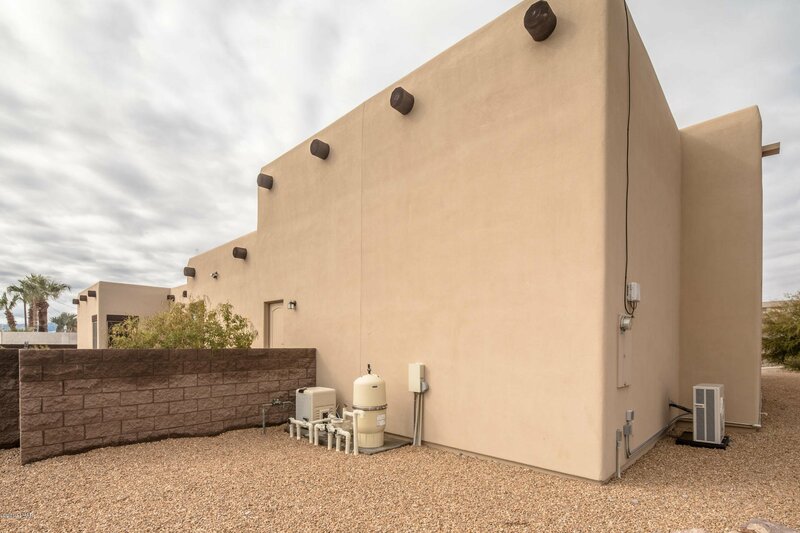 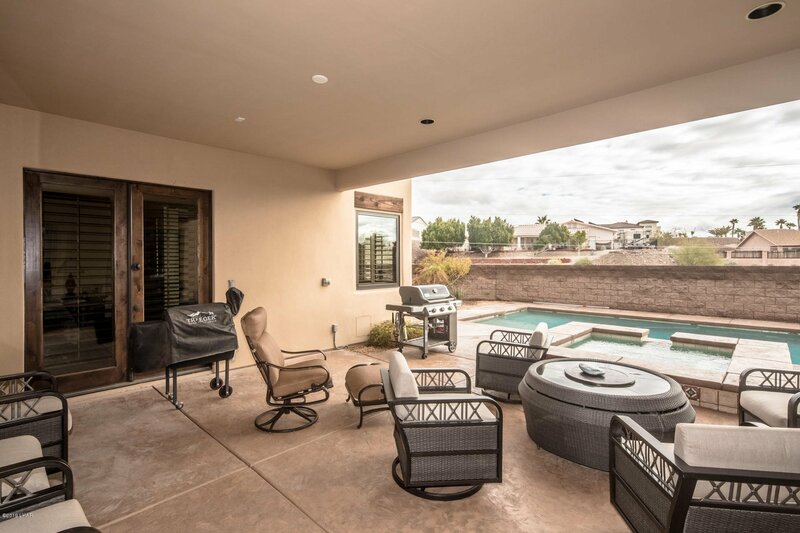 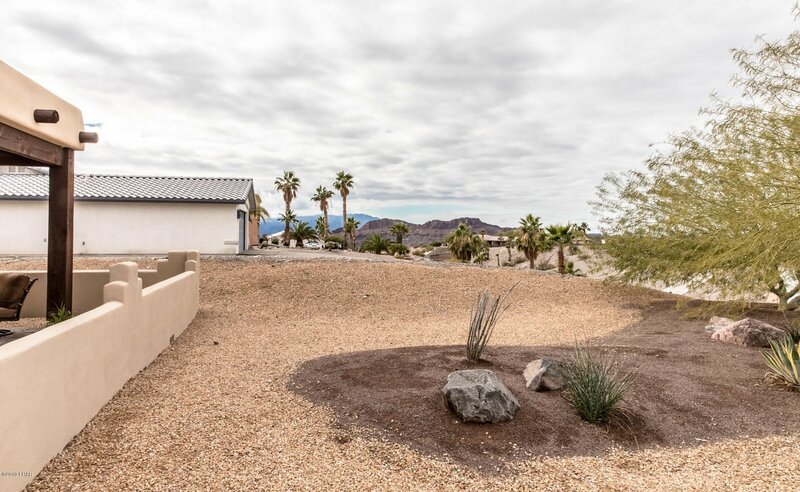 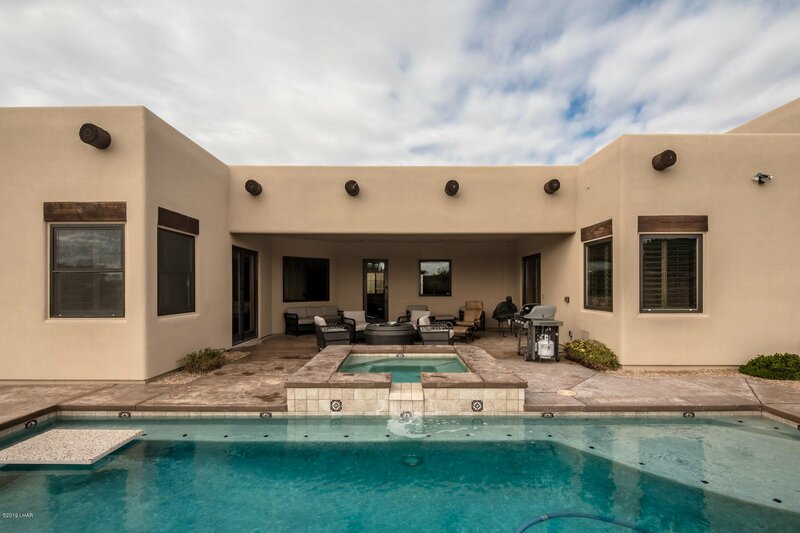 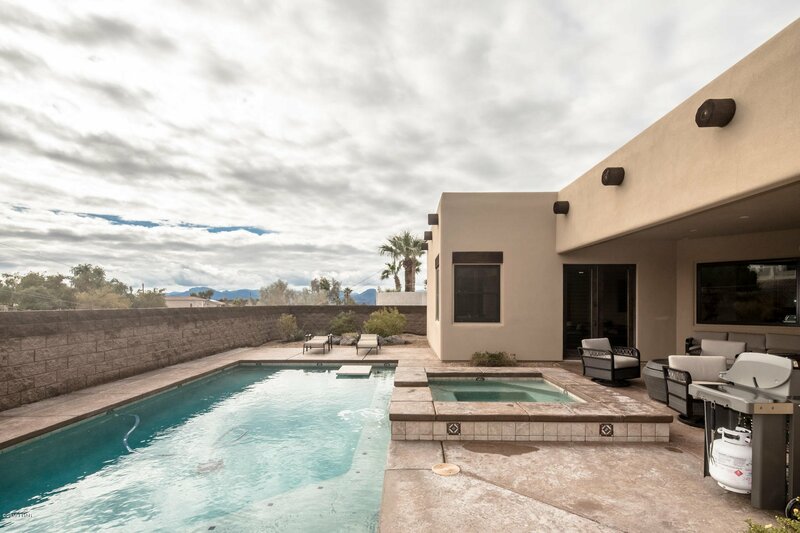 Private pool and spa and landscaping on over 1/2 an acre backing to a wash. 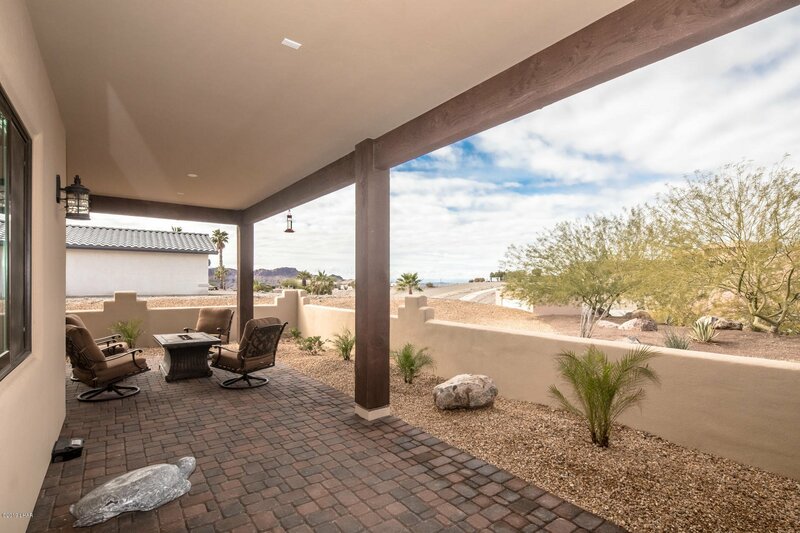 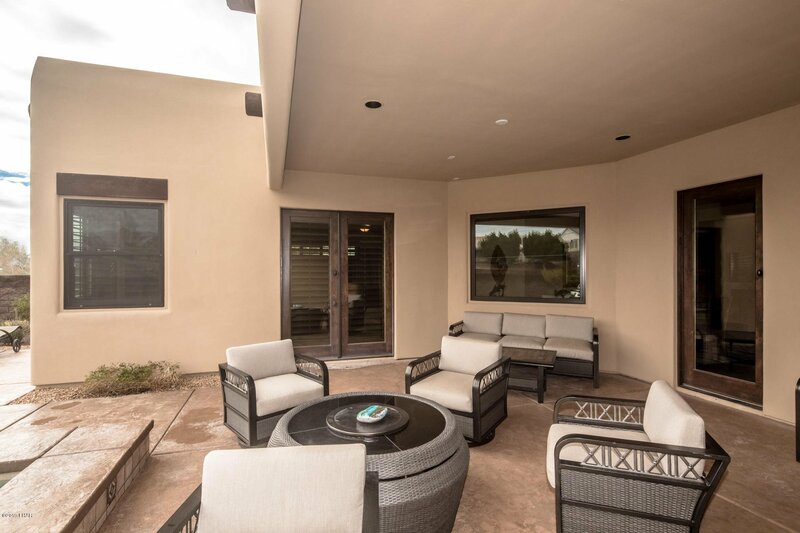 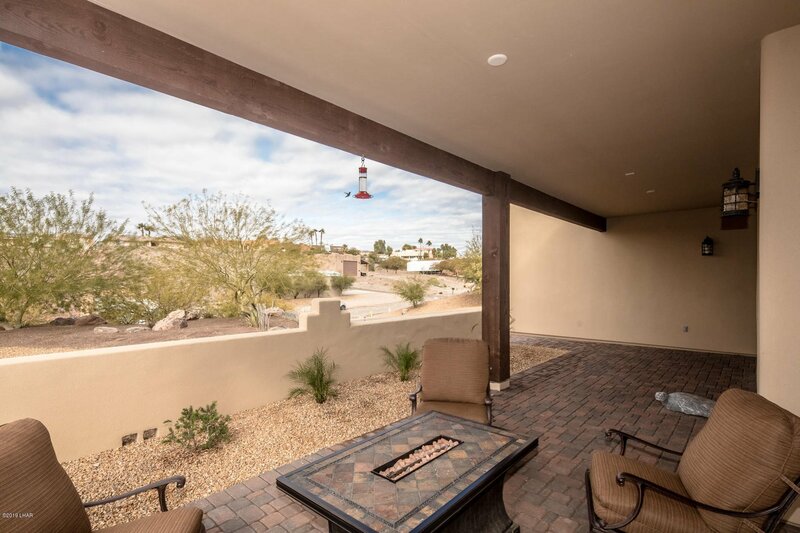 Enjoy stunning sunsets from the huge front patio. 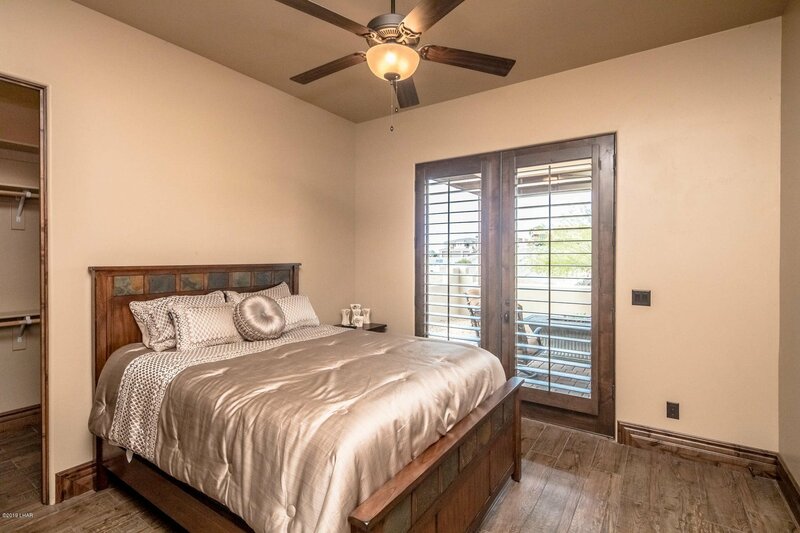 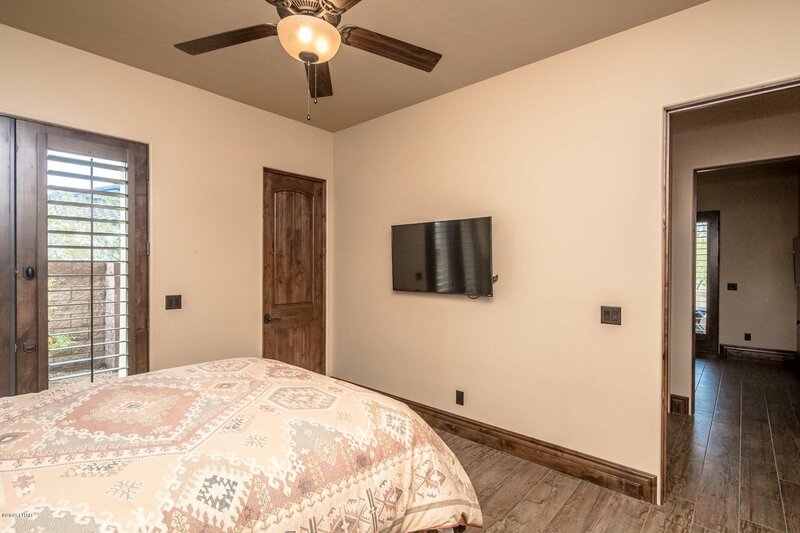 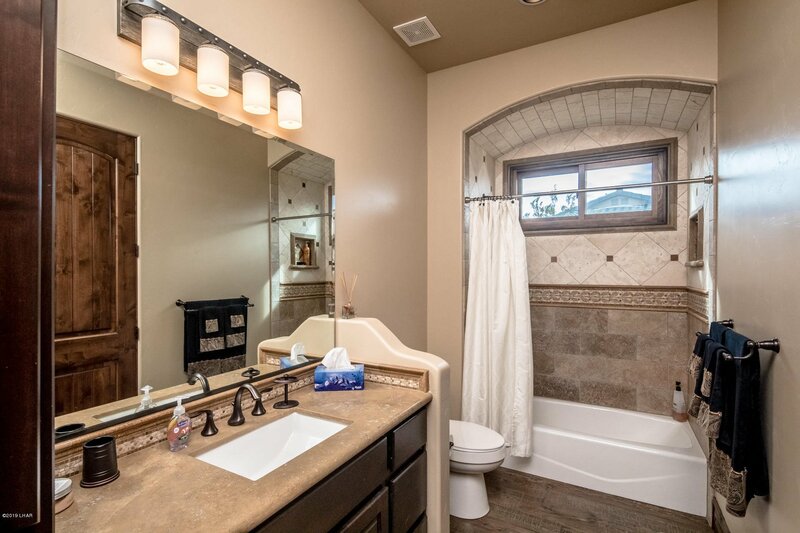 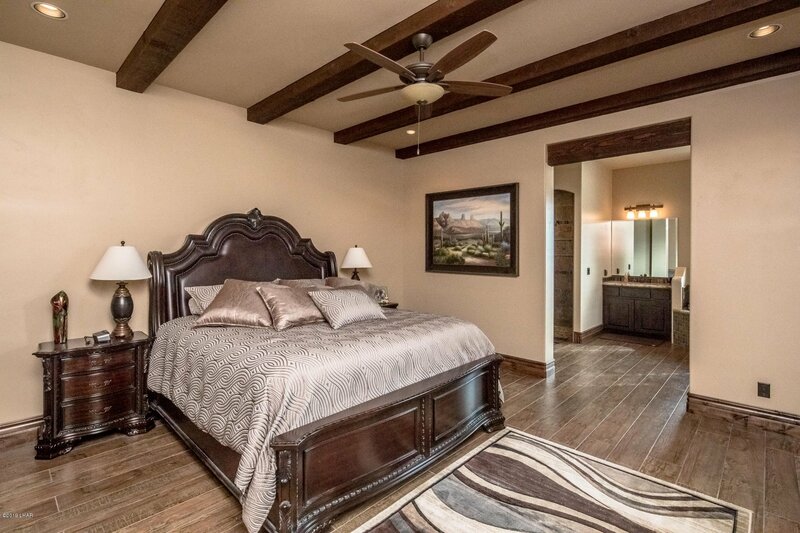 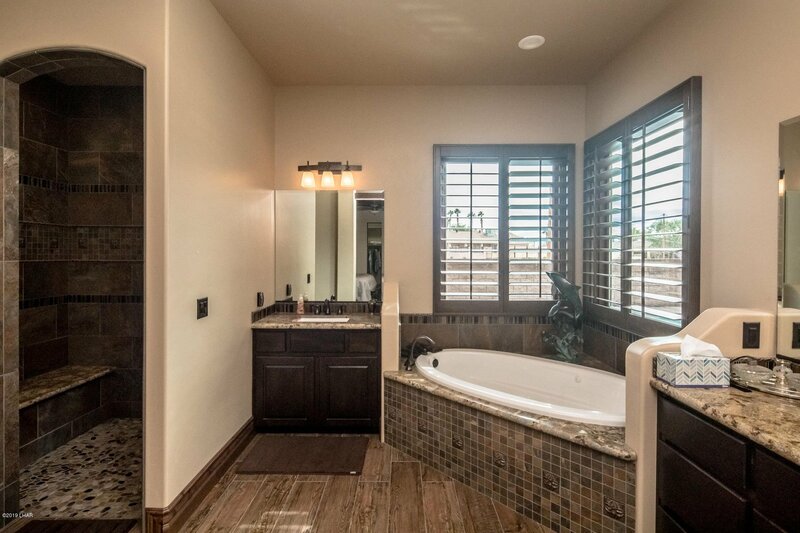 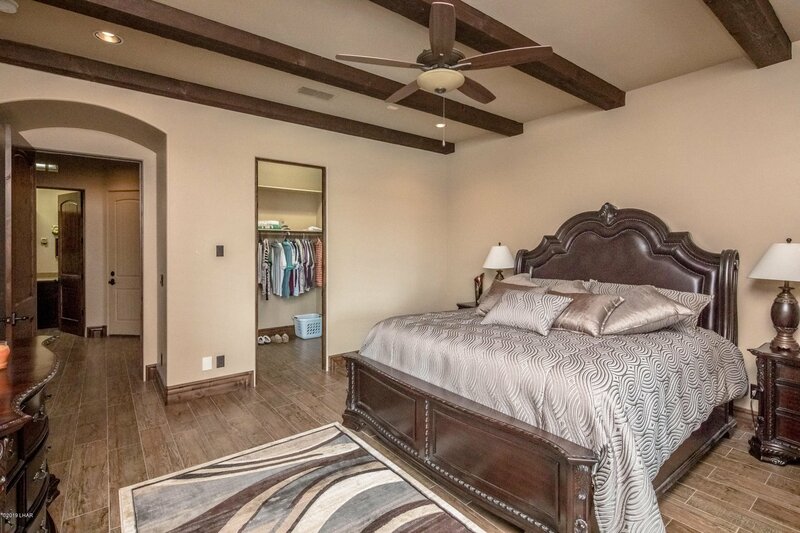 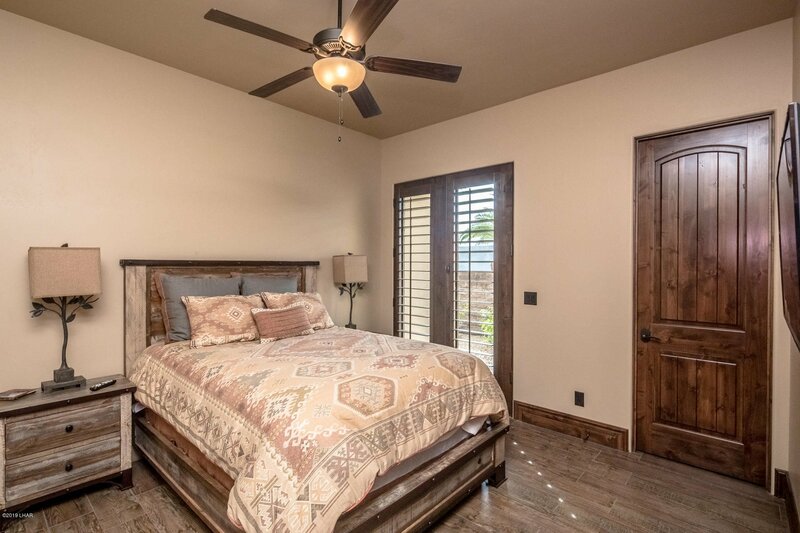 Large master suite with separate tub and shower with access to the backyard, and both guest rooms have their own patios. 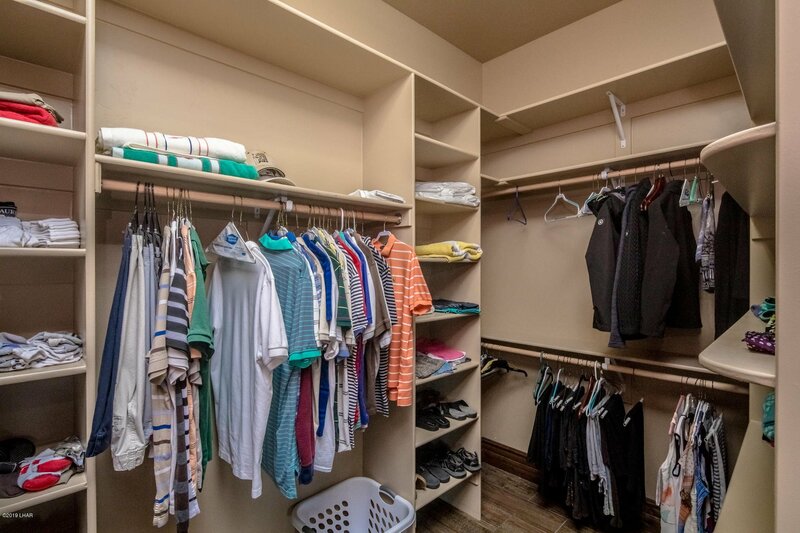 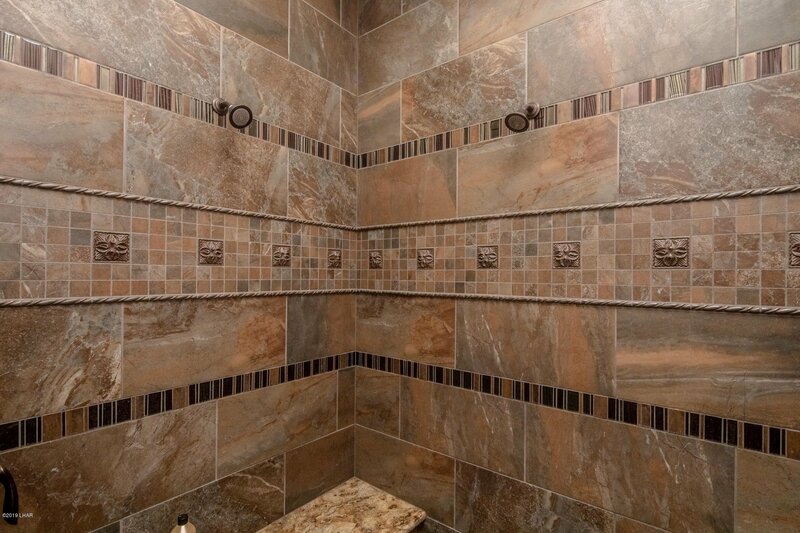 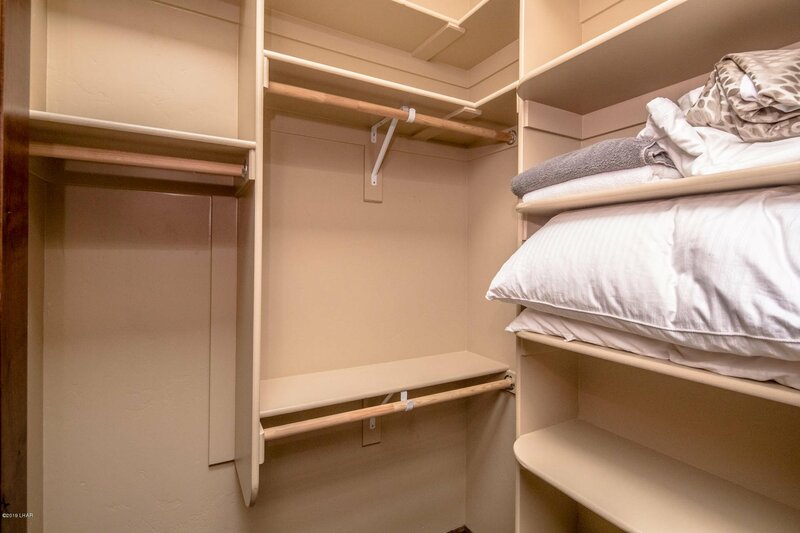 Walk in closets, and high end finishes throughout the home. 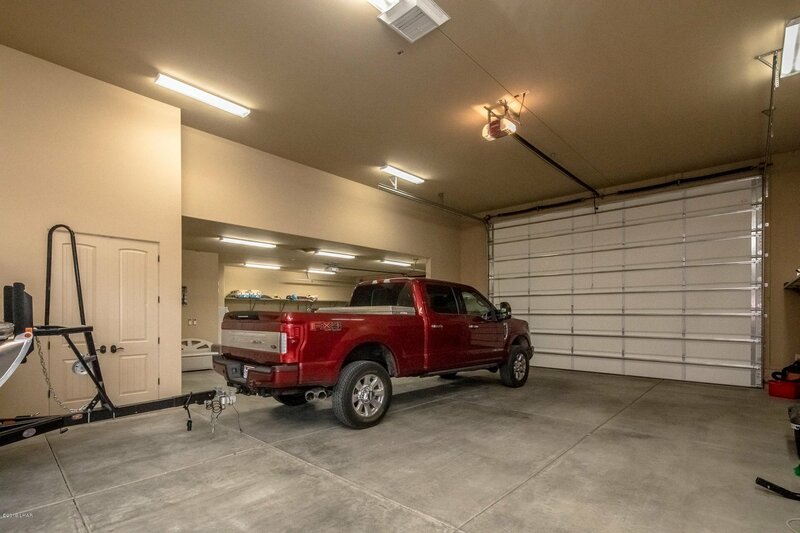 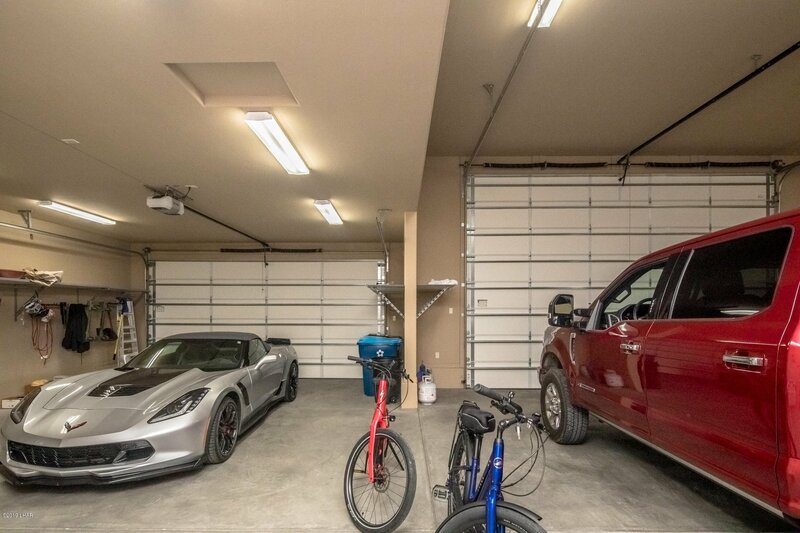 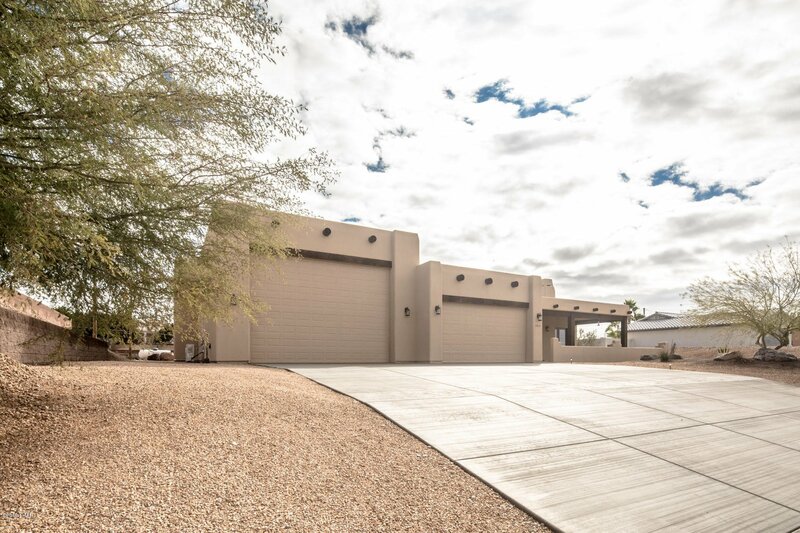 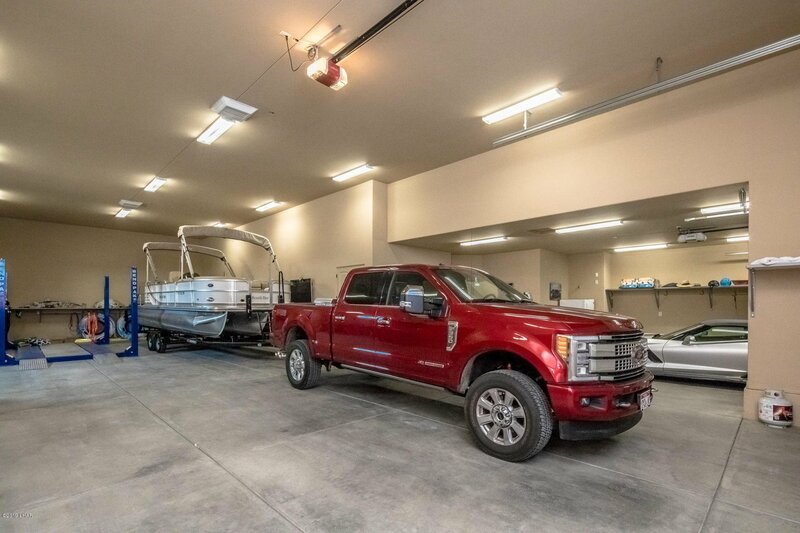 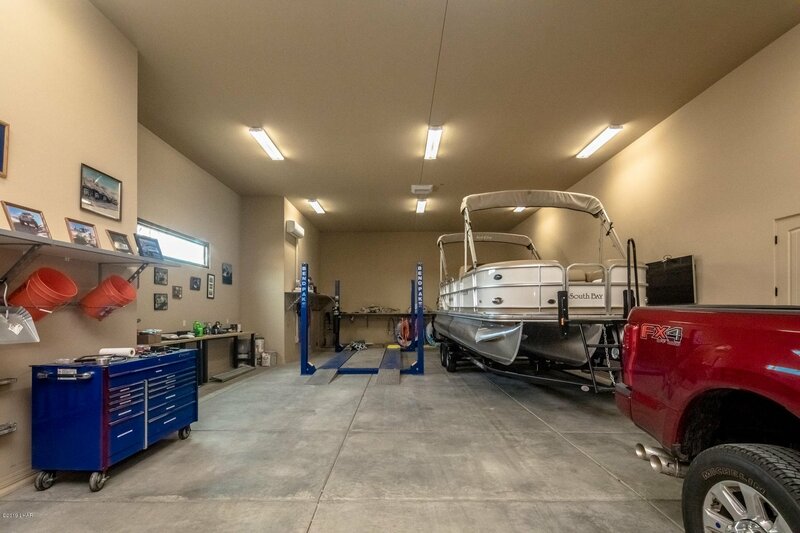 Need garage space for toys? 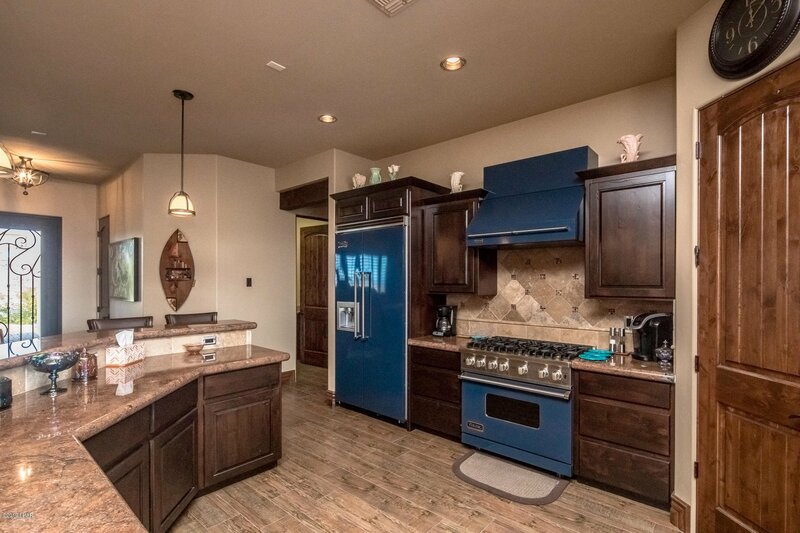 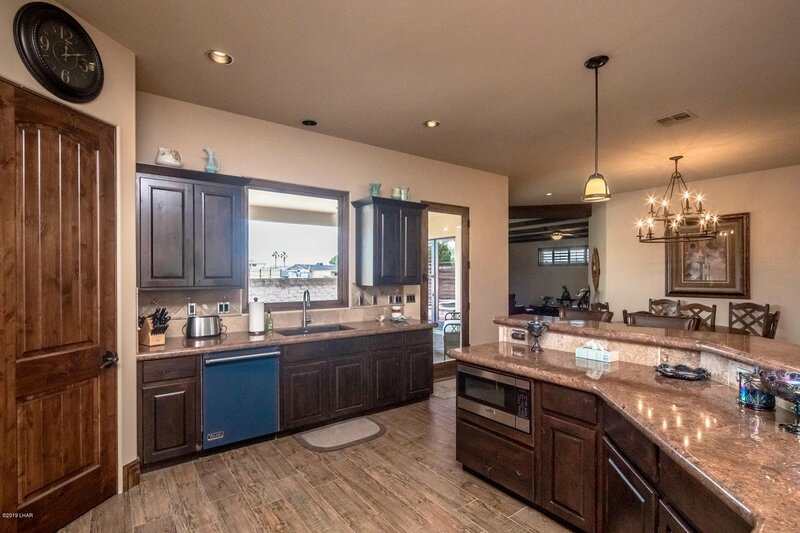 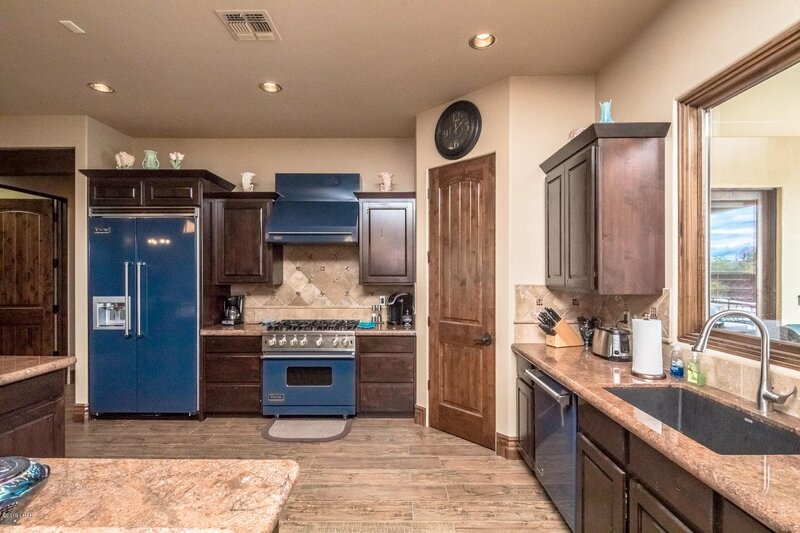 This has a double wide RV garage with 14 foot door, 25 foot wide and 69 foot deep with AC! 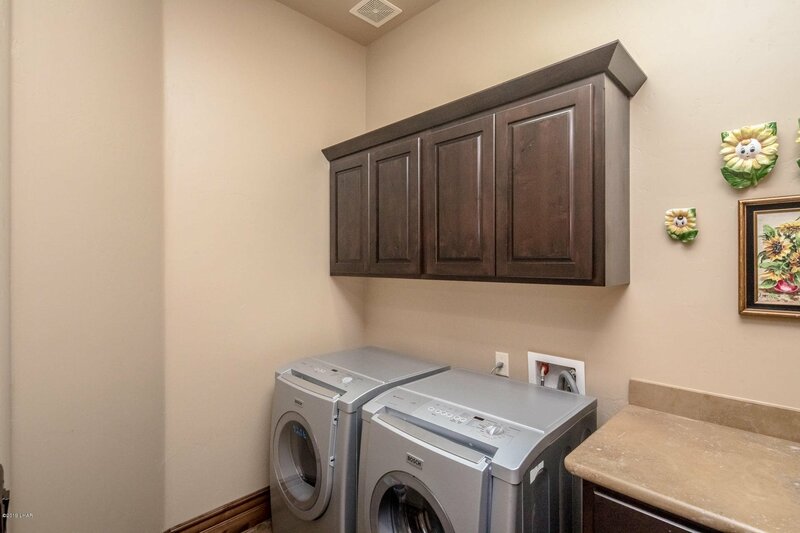 Only used part time so it is still like brand new! 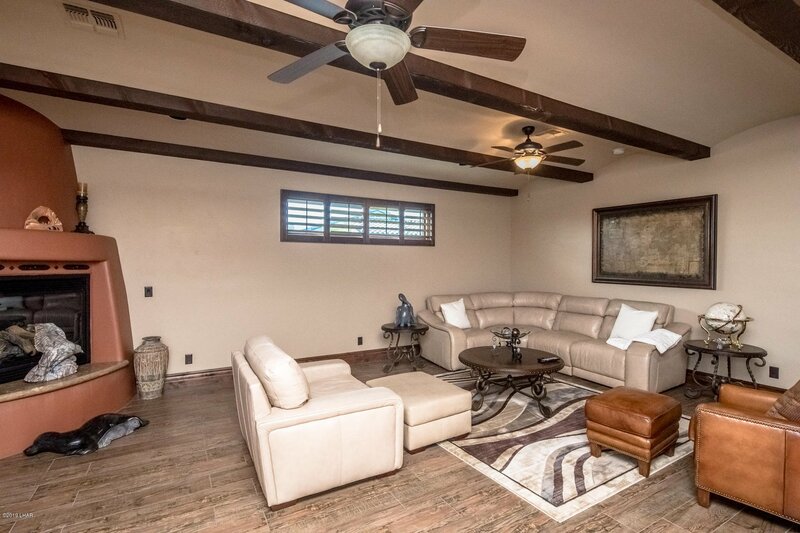 Furnishings are available outside of escrow. 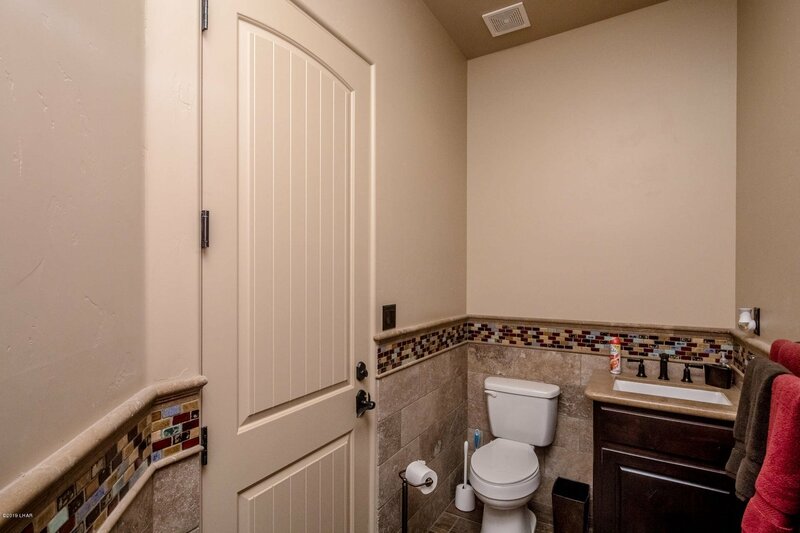 Low water bills as this home is on septic. 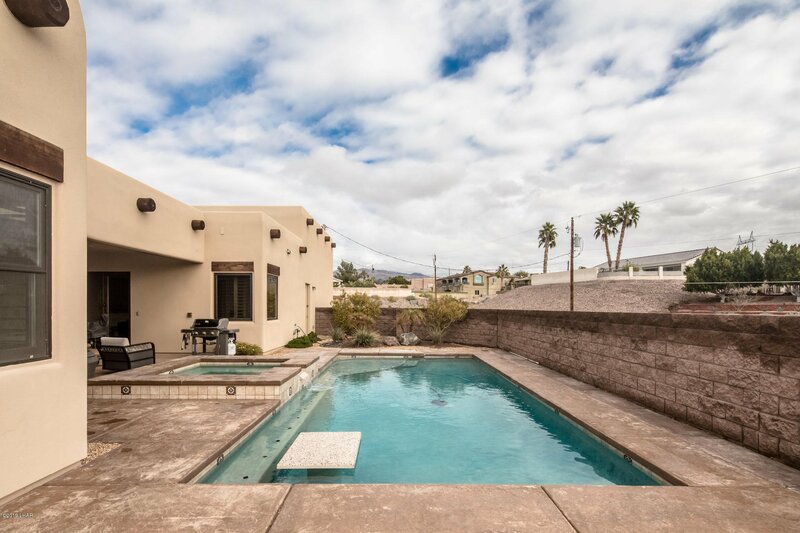 Come see this amazing property today!